The GI JOE team faces a fearsome new threat from the evil COBRA organization! This direct to DVD release was created by ReelFX Studios. Markus came on during the project as a character animator, working as a freelance contractor. Markus was provided with a storyboard and 3D layout (in Maya format) and was then responsible for animating all the characters and objects in that scene. Rendering and effects were completed by ReelFX Studios. 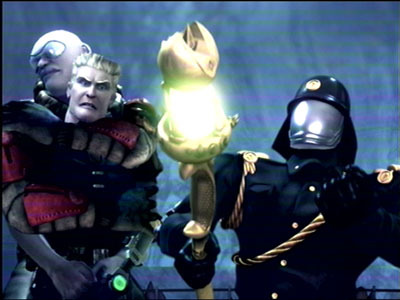 The scenes featured below were animated by Markus. Please contact Rock Farm Animation to find out more about the work Markus did on this GI Joe movie.